A company’s supply chain will incorporate some warehousing function. It can be company-owned, owned by a third party logistics (3PL) company or could be a public warehouse. At certain times, extra warehouse space is required due to any number of factors including; seasonal inventory, warehouse re-organization or warehouse damage. Whatever the reason the use of public warehousing is a useful tool for the supply chain manager as they try to find the greatest efficiencies in the supply chain. The public warehouse is not only a facility where a company can store their products, but the public warehouse offers inventory management, physical inventory counts, and shipping functionality. The public warehouse charges their clients for a certain rate for the goods stored, the volume of the warehouse used and the services the client wishes to use. The company using the public warehouse does not have to employ warehouse staff, does not require any inventory software or warehouse equipment. The owner of the public warehouse is responsible for the costs and passes this on to their clients based on the rate they are charged. Although most companies see public warehousing as a short-term solution, it can often turn into a long-term relationship as companies been accustomed to the convenience of the public warehouse services. Companies that own and operate public warehouses invest significantly in modern facilities to remain competitive. They offer clients increasing levels of flexibility to retain and attract additional clients. Public warehouses offer companies a range of labor solutions including picking, packing, inventory control software and dedicated workforce. Public warehouses will also allow clients to bring in their own ERP or warehouse software so that the public warehouse becomes a satellite location with real-time data. The location of the public warehouse can be important to some clients, and less to others. If a large volume of items is to be moved between the company warehouses and the public warehouse, a location closer to the company site may be more advantageous. However, some clients may require a public warehouse to be closer to their customers if items are to be moved there from a number of company sites. Although most public warehouses offer modern facilities and technology, the level of technology may vary, for example, one public warehouse may offer a warehouse management system that is not compatible with common ERP systems. It can be less attractive than a warehouse that allows clients a range of warehouse solutions or for clients to use their own systems. Depending on a company’s needs, the amount of space required at a public warehouse is likely to change during the period when space is required. Although space requirements are often unknown at the beginning of a contract with a public warehouse, the agreement should include an expansion clause. It will guarantee that the public warehouse operator will accommodate any future space requirements a company may need. When a company negotiates for space in a public warehouse, future requirements for other warehousing needs would probably not be known. However, a public warehouse that is part of a warehouse network may be able to offer national or global supply chain management services that smaller public warehouse operators cannot. 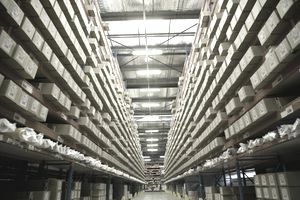 The flexibility of the public warehouse operator is an important consideration. Clients can need warehouse functionality at short notice, and warehouse operators that can guarantee rapid access to the facility, with trained staff and suitable technology are at an advantage.